In recent years, emerging energy technologies and business models have played a significant role in how energy is generated, transmitted and distributed to consumers. Against this backdrop, EMA is introducing a regulatory sandbox framework to support energy innovations. This framework creates “safe spaces” where interested parties can test their energy solutions in a live environment, without being subjected to the usual regulatory requirements. At the same time, safeguards, such as limiting the duration of the trial or the maximum number of consumers, will be introduced to minimise risks to consumers and the energy sector. This sandbox applies well in situations where it is less clear whether prototype products or services comply with regulatory requirements, which could have deterred some from testing their ideas. This would be undesirable as promising innovations may be stifled and result in missed opportunities. The framework also allows EMA to assess the impact of new products and services before deciding on the appropriate regulatory treatment. 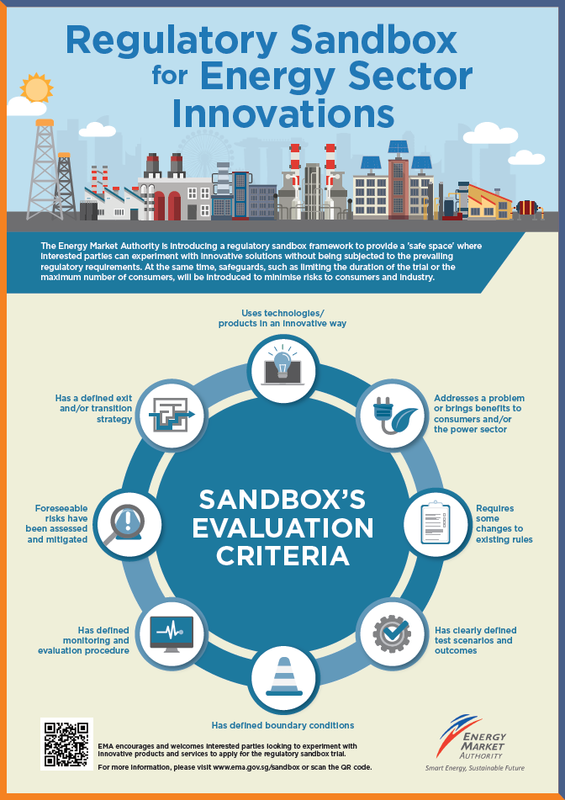 EMA encourages and welcomes interested parties looking to experiment with innovative products and services to apply for a regulatory sandbox trial. 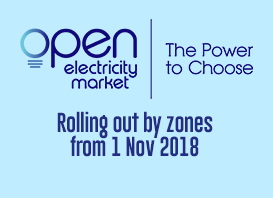 Target participants include all prospective players in the electricity and gas sectors, and are not limited to current licensees. 1. Does my project qualify for the regulatory sandbox? 2. Who can I approach if I have questions about the sandbox? Interested parties may email sandbox@ema.gov.sg to find out more about the initiative.